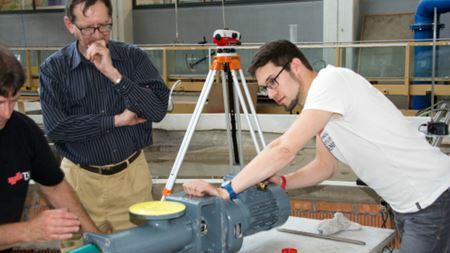 Pump.Ing’s 2016 Pump Engineer programme in English is open for registration. 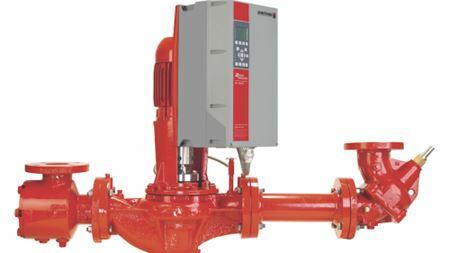 Armstrong Fluid Technology is introducing the Generation 3 Design Envelope pumps featuring 33 energy-saving models ranging in sizes from one to 75HP. Fuji Techno Industries' Super Metering Pumps (SMPs) have a pumping accuracy of ±0.1% or less and do not create pulsations in the liquid flow. Chris Kearney is to retire as president and CEO of SPX Flow Inc at the end of 2015. Final call for Pump Industry Awards nominations 2016! Nominations for the 2016 Pump Industry Awards must be made by 1 December 2015. Atlas Copco is buying the vacuum business of OC Oerlikon Corp AG. Curtiss-Wright Corp has shipped the first two AP1000 reactor coolant pumps (RCPs) for the Sanmen Unit 1 in Zhejiang Province, China. The US Department of Justice has cleared the proposed US$14.8 billion merger of Schlumberger Ltd and Cameron International Corp without any conditions. The deadline for nominations for the 2016 Pump Industry Awards is 1 December. Sulzer has named Gregoire Poux-Guillaume as its new CEO from 1 December 2015. SPX FLOW's Johnson Pump brand modular centrifugal pumps are designed for high reliability in oil, chemical and supply vessel applications. Standard Alloys Inc, a KSB company, has opened a new 15 000 sq ft workshop in Deer Park, Texas, USA to serve customers in the Houston area. Hayward Tyler Group plc has entered into an agency agreement with Japan’s Ebara Corp for boiler circulating pumps. Lars Renström is to retire next year from his position as president and CEO of the Alfa Laval Group. Kirloskar Ebara Pumps Ltd (KEPL) has commissioned its first API 611 Steam Turbine ‘K-TUR’ at PT. Pemukasakti Manishindah in Indonesia. The British Pump Manufacturers Association (BPMA) is sponsoring the Energy Management Exhibition (EMEX) which takes place in London on 11-12 November. Tapflo Group has set up a representative office in Montreal, Canada to serve the North American pump market. Ian Mavers has joined SPP Pumps as its new business development manager, Engineering Services Division for Scotland. Piston pump manufacturer Blackhawk Technology Co is offering a lease program for its family of pneumatic top-head-drive motors. SKF is introducing the TLGB 20 battery-driven grease gun which includes an integrated grease meter to help prevent over- and under-lubrication. Hungary’s AxFlow Kft has acquired Budapest-based Forszi-Tech Kft, a pump and industrial heavy machinery repair and maintenance operation. BBA is introducing an environmentally-friendly design of its B-series self-priming pumps. Grundfos has entered into a global framework agreement with Japanese boiler manufacturer Miura. Sealing specialist John Crane is acquiring Aberdeen-based oil and gas service/consultancy company XPD8 Solutions Ltd.